Winter, Spring, Summer, and Autumn – so the wheel turns. As they journey through the seasons, readers of all ages are invited to meet nature deities, a bewildered changeling, loving families who stick together, so-called friends who cannot be trusted, goblins, wizards, vengeful witches, helpful witches, and many others besides. Right at home in the long folk and fairy tale tradition, these are stories for enjoying year after year, and in all weathers. When the day fades to night, they come. When the moon is at its darkest, they come. When the wind whistles through the trees, dislodging all the dying leaves, they come. Singing, dancing, eating and drinking, they come. Casting spells and hexes on their breath, they come. Dressed in their finest coats and hats, they come. Never doing good, only ill, they come. So when the nights are drawing in, and night is longer than the day, ensure you are safely shut inside your house. Bar the doors and close the curtains. Place a charm to ward away evil by every window and door – I would recommend rue or mugwort. And do not step one foot outside until the morning, until the sun has risen and the stars sleep. No matter what you hear, no matter what revelry and gaiety reaches your ears. For when the goblins roam the woods, the most perilous of dangers are abroad. You are not welcome beneath the stars. Your presence is not requested in the clearing amongst the trees. You are not invited to the goblin dance, and you never will be. For when the goblins sway and cheer, clap and whistle, and toast with beer, only harm can come to those who are good. For when the goblins dance their dance, sing their songs and chant their chants, only death can come to those who are good. The goblin dance is only for goblins. Goblins hate the Other Folk, as they call us. They will steal our children, sour our milk and curse our roofs, given half a chance. And that’s all they need. Do not give them a reason to seek you out, to bring ill-fortune to your door. Do not lift the curtain and take a peek. Do not open the window a crack to better hear their festivities. Turn your back to them, do not see them and do not hear them, or you will lament you did not heed my warning. The goblin dance is a dance of death. For their song is not the song you hear. Their tune is not the one you know. They do not speak the words you suppose. So let them pass by unhindered, undisturbed. Let them not look upon your face. The goblin dance is only for goblins. 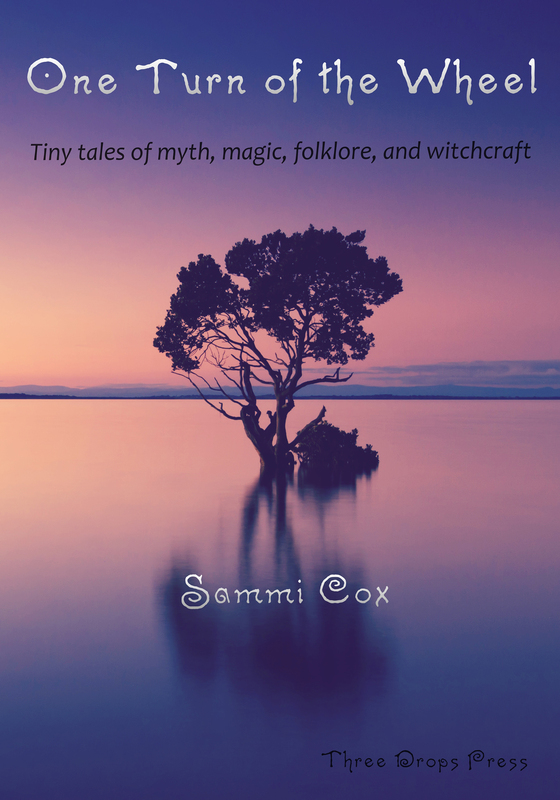 Sammi Cox spends much of her time writing and making things. She is inspired by the natural world and the voices she comes across in the landscape. She has been interested in history, archaeology, mythology and the paranormal for many years, and these often influence what she writes. Her short stories and poems have been published in various places both online and in print. One Turn of The Wheel is her first collection of tiny tales. One Turn of the Wheel is currently available via Lulu.